As a transformative healthcare data technology company, Remedy Analytics empowers employers and patients with actionable information to make smarter decisions and save costs. FourStar Branding’s mission was to design brand elements across the board to reflect that purpose. Our branding solutions covered the map, impacting every partner and customer touchpoint Remedy Analytics sought to engage. 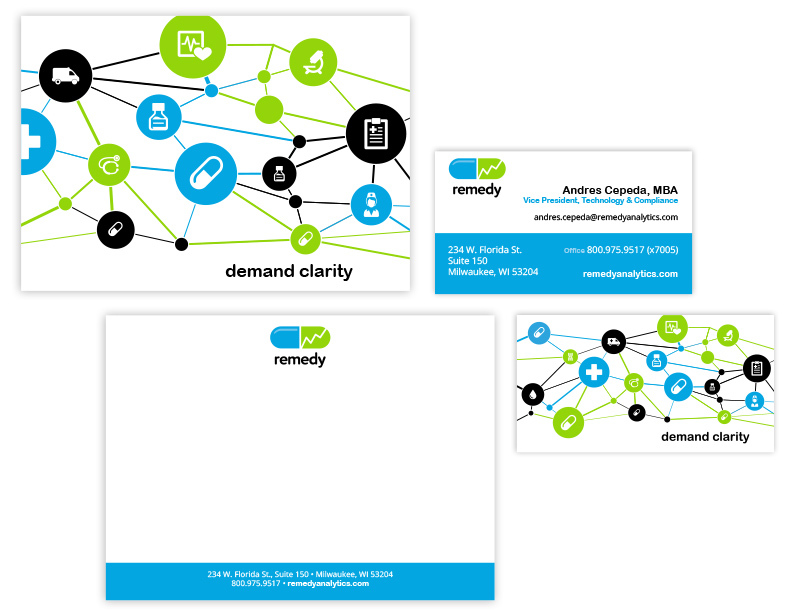 Befitting a fast-growing and innovative company, we delivered Remedy a dynamic brand experience that mirrored their leadership in the health tech category.